More money makes you happier...right? 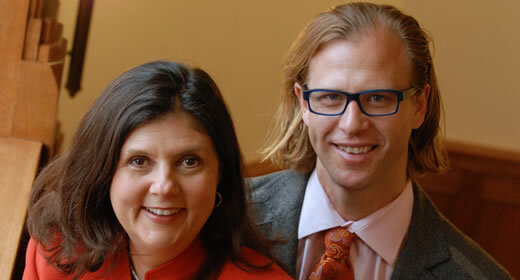 Professors Justin Wolfers and Betsey Stevenson say that’s accurate, to a point. “It’s a truism, but it’s false,” states Wolfers plainly on a February 28, 2019, segment from PBS’s NewsHour. “Rich people are happier than poor people, and that’s true all the way along economic distribution,” Wolfers continues. But Stevenson points to diminishing marginal return, which shows that happiness isn’t exclusively a dollar value but a percentage. “Increases in income keep making you happier, but they’re making you happier at a decreasing rate,” says Stevenson. Watch the full piece here. Justin Wolfers is a professor of public policy and economics. He also serves as a member of the Congressional Budget Office Panel of Economic Advisers.